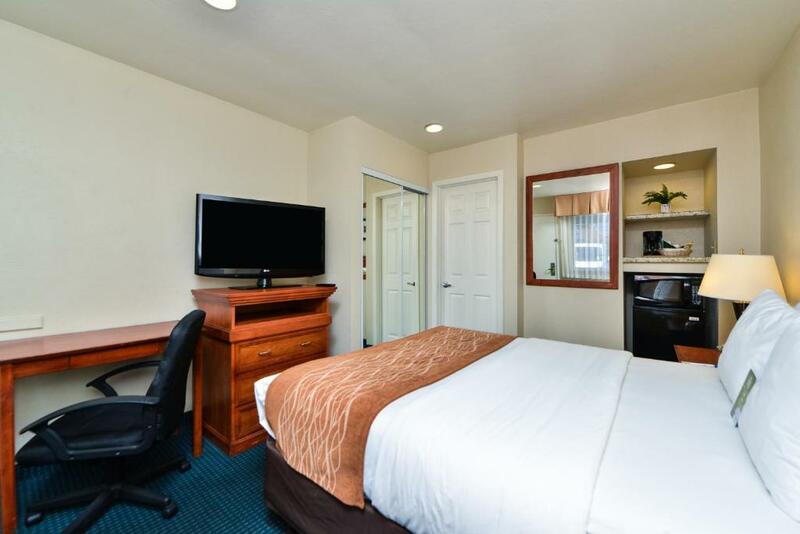 Located in the thick of it all with free Wi-Fi the Comfort Inn Monterey by the Sea offers good value for your hard-earned money. Blooming flowers in an array of colors welcome guests to this pretty two-story 67-room hotel. 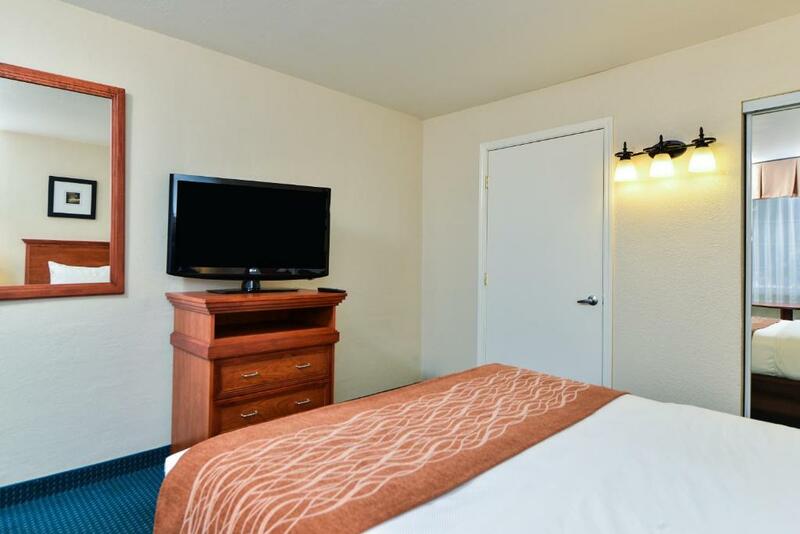 Rooms are attractively furnished with a modern decor package that features deluxe bedding free Wi-Fi and premium cable with free HBO. 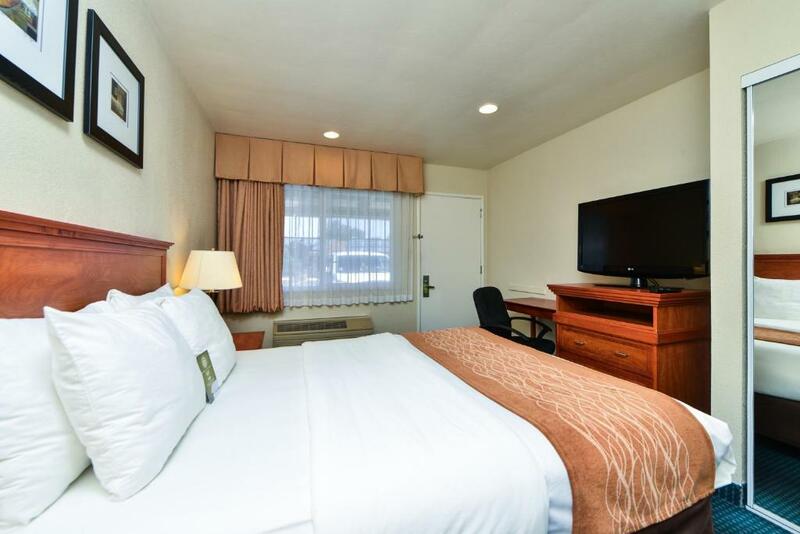 Rooms come in a variety of configurations to suit your needs and non-smoking rooms are available. Traveling families with pets will be pleased to know that pets are accepted here for an additional fee. Count not just one but two outdoor pools on the premises. Pack your workout gear; there is an on-site exercise room for guest use. Parking is free. 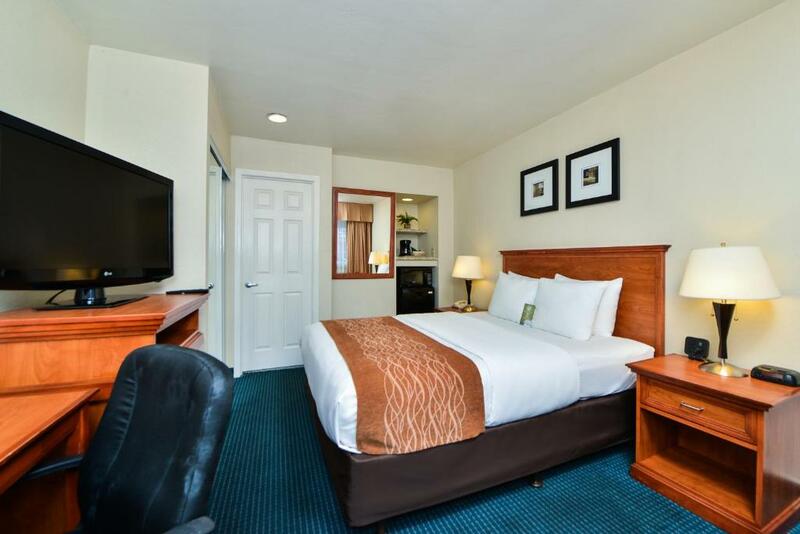 The Comfort Inn Monterey by the Sea is one mile from Cannery Row Monterey State Beach and the 17-Mile Drive a scenic road that hugs the Pacific coast and passes famed golf courses and stately mansions. Fisherman's Wharf is two miles away while the Carmel Mission and the Monterey Bay Aquarium are three miles from the hotel. It's eleven miles to the Mazda Raceway Laguna Seca. The Monterey Peninsula Airport is less than five miles away. 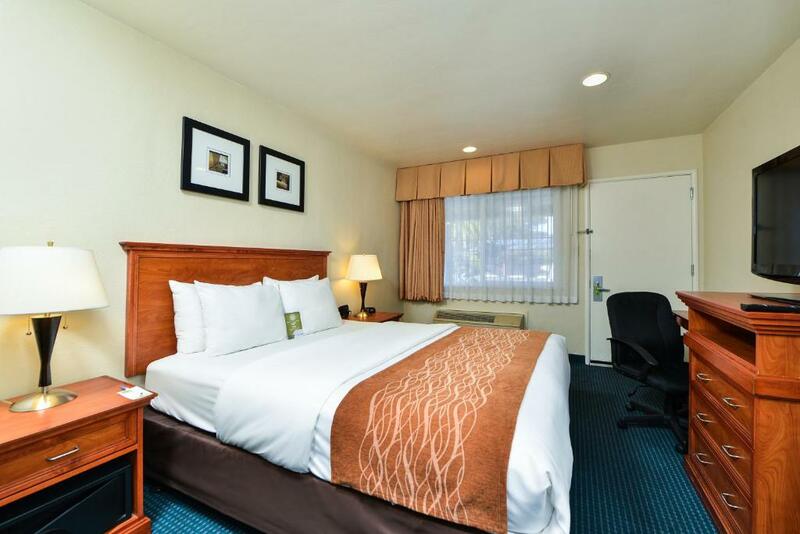 A convenient location and cost-savings are just the start of your fabulous Monterey get-away.